The RS Vision is a Sailing dinghy created by RS Sailing designed for 2 crew members. It can, however, be sailed by a larger crew or be single handed. It is sailed at many clubs around the world. The RS Vision is roomy and stable. An owners club and events circuit is established. 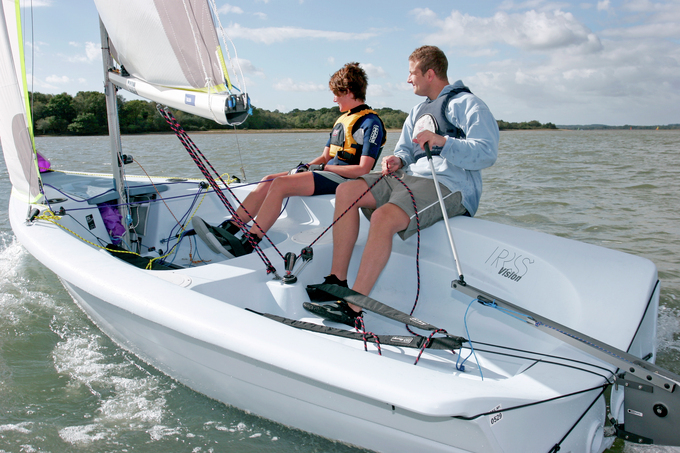 The RS Vision is a good boat for training, being stable and with plenty of room for two trainees and an instructor. The boat is fitted with the Gnav kicker system leaving the cockpit uncluttered.